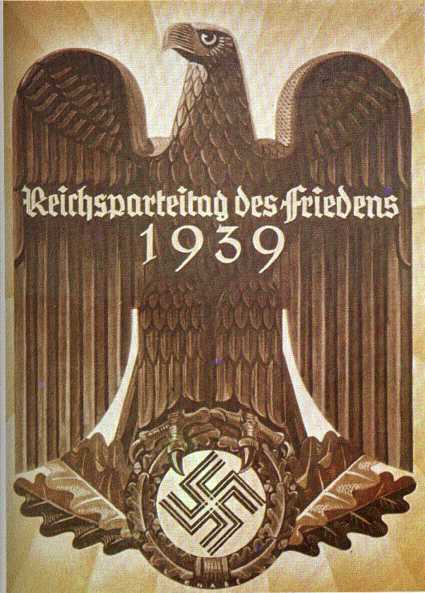 Just for luck, below is a 1930's Fascist "peace" poster that does not even need translation! 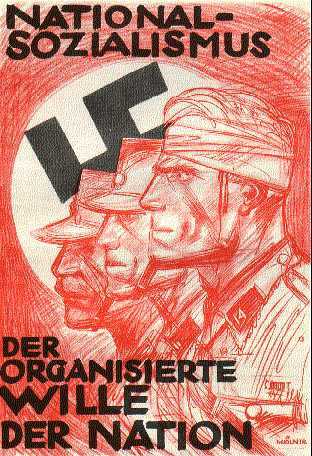 I guess most readers here will be aware that Britain too had a vigorous Fascist movement during the Hitler era. 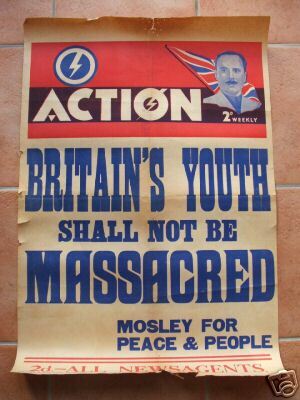 And the leader of the British Union of Fascists -- Sir Oswald Mosley -- was anything but a nonentity. The King even came to his wedding! And Mosley originally left the British Labour party (in 1930) because it was not socialist enough! As Mosley himself said in 1968: "I am not, and never have been, a man of the right. 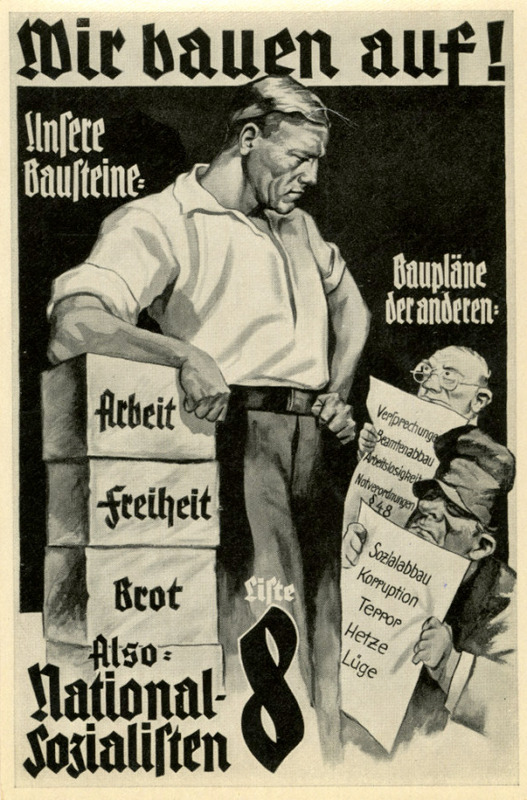 My position was on the Left and is now in the centre of politics"
Finally, Hitler also used propaganda posters even outside election time. 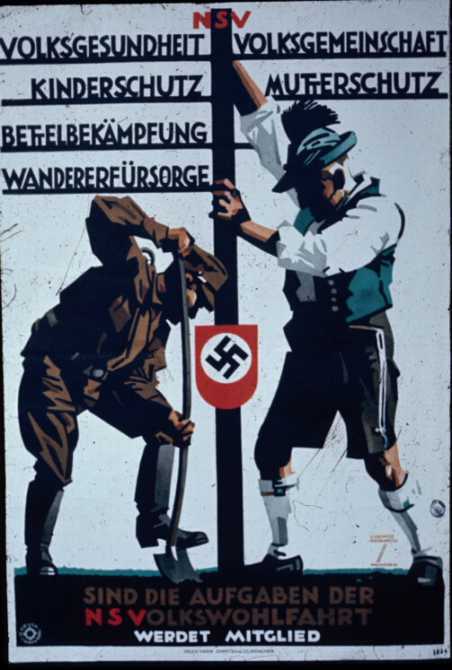 Have a look at the 1939 Nazi propaganda placard below (a Wochenspruch for the Gau Weser/Ems). 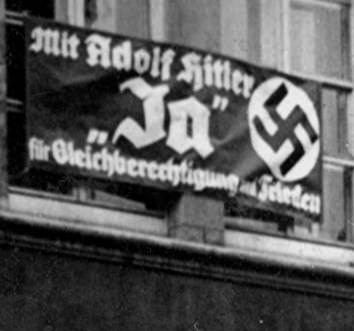 The placard promotes one of Hitler's sayings. 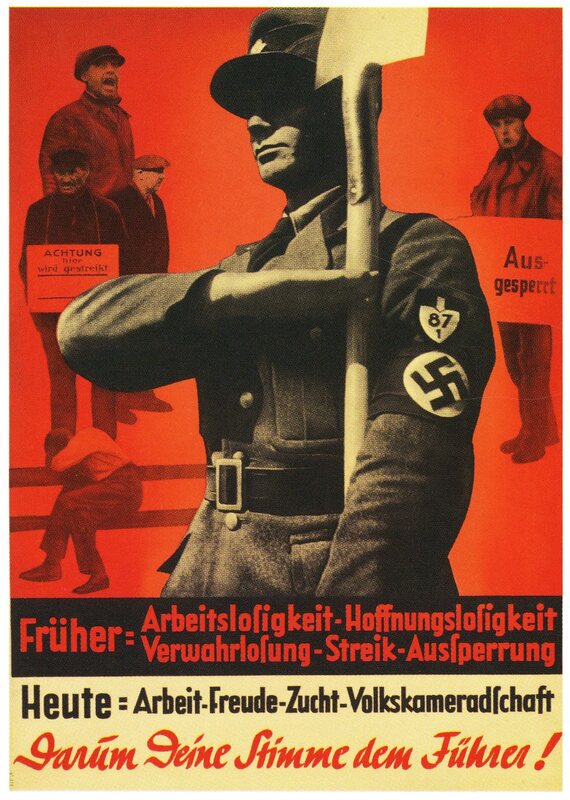 The saying is, "Es gibt keinen Sozialismus, der nicht aufgeht im eigenen Volk" -- which I translate as "There is no socialism except what arises within its own people". 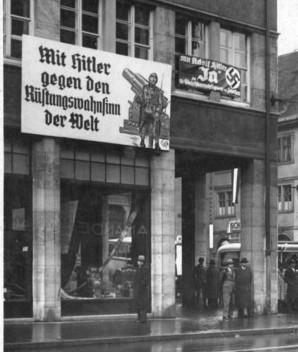 Hitler spoke a very colloquial German so translating that one was not easy but I think that is about as close to it as you can get. As some modern context for that saying, note that there have now been various psychological studies by Robert Putnam and others showing that people are more willing to share and get involved with others whom they see as like themselves. 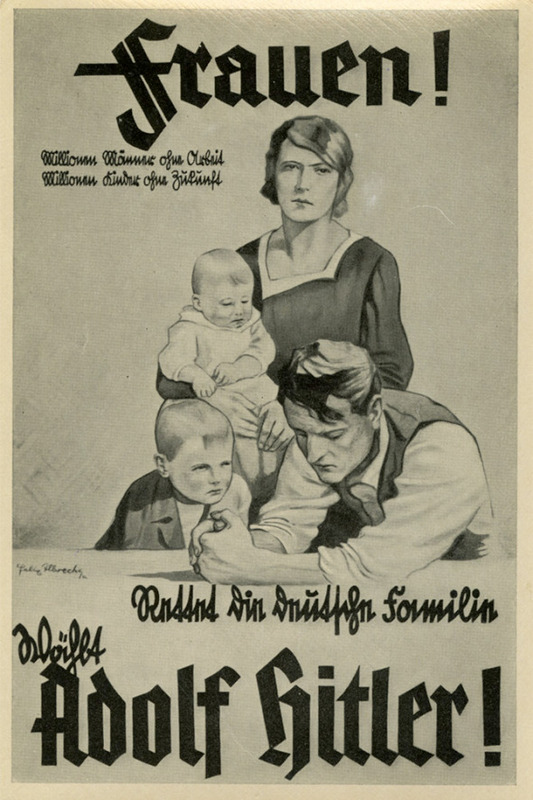 That leads to the view that socialism will find its strongest support among an ethnically homogeneous population -- which the Scandinavian countries notably were until recently.